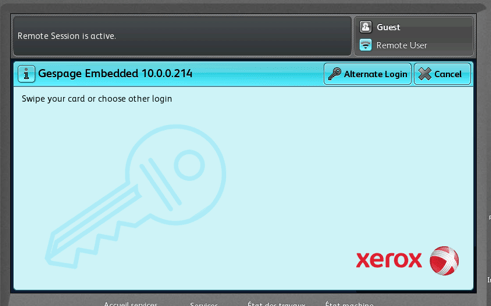 Xerox eTerminal is a Gespage software module dedicated to Xerox EIP (Extensible Interface Platform)/ ConnectKey MFPs. This module uses the integrated touch screen of the MFP. 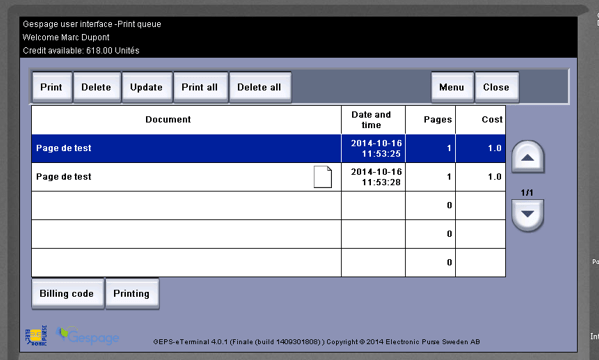 Xerox eTerminal does not support the 57xx, 71xx and 74xx ranges. 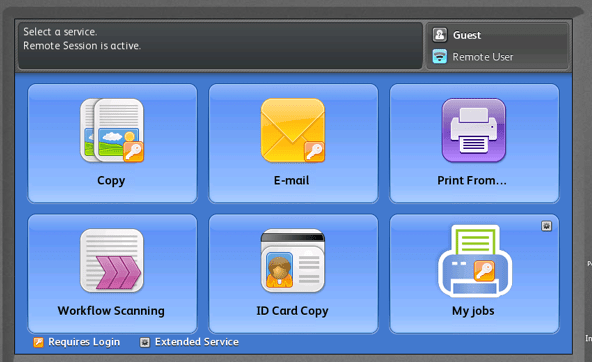 Scan to me service to personal email. The user selects the service wished, if the icon is marked with a small key that means that access is subject to authentication. 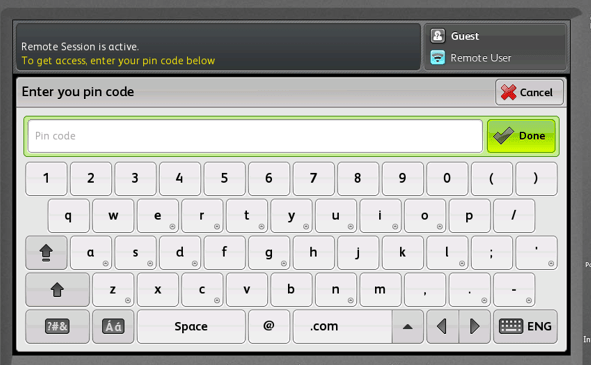 Disconnection is made via the key (on the panel) or by selecting « Log out » after having clicked on the user name.